While the public demands protections for air, land, and water, the California oil industry uses front groups and spends millions on lobbying the legislature, gaining disproportionate influence in subverting pollution and fuel standards. Keeping the economy addicted to climate-fouling fossil fuels and reaping billions in profits, Big Oil claims to be a “victim” of excessive regulation. Stop Fooling California! Stop Fooling California, Big Oil! California has long been a national leader in advancing environmental policies and voters have time and again supported our state’s renewable energy, clean air and climate laws. The reasons for this are simple. These common sense laws grow our economy, improve our health and hold polluters accountable for the pollution they created. Today, oil companies are trying to use their billions in annual profits to overturn the laws that an overwhelming majority of Californians support. How you ask? By employing front groups, raining money on lobbyists, and fabricating misinformation campaigns. Chevron-backed Fueling California is the latest front group tasked with undercutting our clean fuel standards. Though they claim to represent corporate fuel consumers they recently held a closed-door meeting with oil industry leaders under the guise of formulating “alternatives” to our clean fuels goals, despite the fact Californians consistently express their support for these standards. The public supports reasonable clean air and fuels standards that benefit people and the planet. At the same time, oil barons pour huge amounts of money into lobbying legislators, gaining influence and access to subvert, postpone or opt out of regulation. 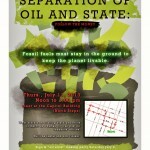 The use of front groups is only one tactic Big Oil uses to deceive Californians. The public supports reasonable clean air and fuels standards that benefit people and the planet. At the same time, oil barons pour huge amounts of money into lobbying legislators, gaining influence and access to subvert, postpone or opt out of regulation. In 2012, oil interests spent an astounding $25 million lobbying California officials while reaping a collective $119 billion in global profits. And yet these very companies claim they cannot afford to comply with California’s clean air and fuel standards. In 2012 three groups, the California Chamber of Commerce, the Western States Petroleum Association and California Manufacturers & Technology Association, collectively spent $19.8 million to weaken clean air laws. Imagine if they used that to actually clean up the air. It gets worse, instead of owning up to their polluting ways, they use “AstroTurf” groups like Fueling California to do their bidding in an attempt to circumvent their overtly, and justifiably so, toxic image. Attempting to deceive Californians into believing that oil companies are the victim is a strategy they are unlikely to abandon in the near future. Especially when they know Californians spent more than $60 billion on dirty fuels in 2011. When in one minute you make more than what 96 percent of American households make in an entire year, you don’t want to give that up. Or clean up your mess. In California, there’s no better example of oil companies placing profits over people than the Richmond refinery explosion of 2012. Despite noting extreme corrosion in earlier surveys, Chevron management chose to bypass repairs and keep using a pipe that was 80 percent corroded. The result? A massive explosion that sent more than 15,000 people to the hospital, engulfed a large part of the Bay Area in smoke and nearly killed a dozen employees. Fortunately, Californians can see through the deceptive tactics oil companies love to utilize. We know they want to keep their monopoly, despite the asthma plaguing our children. We know they’ll mislead consumers in the name of profits, despite the voters supporting clean air and fuel standards that protect people and the planet. That’s why we are part of the founding endorser organizations of the Stop Fooling CA campaign. We’re partnering with California’s leading health, consumer, clean air and environmental groups to show the oil industry that we know better by calling out their misinformation campaigns and greed-fueled attempts to deceive Californians. It’s time for Big Oil to clean up its act. It is time for them to Stop Fooling California.